Apidya is quite an oddball shmup with design inspired by R-Type and art inspired by Parodius. Instead of fighting with spaceships, the player fights with a lazer-shooting bee against other insects (there aren’t too many other games like this, such as Kolibri for the 32X). The story is, a jealous and evil wizard sent poisonous bees after your wife and now you have to transform into a bee (!) to avenge her death (the game’s title refers to apidae, the scientific name for the bee genus). The game uses a Japanese animation style for the cutscenes, which was due to art director Frank Matzke’s Japanophilia (of course, it also jived well with Chris Huelsbeck’s mix of Japanese and European composition). It even featured the title in katakana. At the same time, the soundtrack sounds as if it could easily fit into a space battle. Finally, it is notable that the studio was originally called AUDIOS for Art Under Design, Imaginations of Sound, which fits perfectly with the philosophy of mixing Huelsbeck’s musical style with the art and design. In 1992, Chris Huelsbeck released an arrange album of Apidya, the first of his many complete game soundtrack arranges – and again, while the first half is amazing, the second half of arranges is mostly not so good. My favorite piece is “Game Over” with a touching flute that transitions into a march with striking snares, and brass that moves quickly to a grand section of strings and xylophone. At every beat, it seems a memorial for the fallen soldiers (it is from the High Scores table rather than a game over screen), with touching taken for each grand, sweeping note (I once showed this to a friend who, upon hearing the title, responded, “Oh, how sad!”). Halfway through, there is a dramatic break with swooping strings and a bold statements from the trumpet before sinking to tense drums and discord – a flashback of horror, death, and despair. This dark shadow makes the third movement of “Game Over” all the more powerful, with bright flutes resurrected from the abyss and the sweetly triumphant strings and trumpets that march in honor-guard procession to the cemetery with a sense of finality, of entombment in memorial, through the quick ending. “Game Over” was originally called “Heroes Save the Planet“, the high score screen, and seems more triumphant in its approach. Opening with a trumpet solo, then integrating strings, the piece is more honoring and reflective of the scores – say, “Look what I accomplished!” – rather than on perhaps what those scores stand for. “Heroes Save the Planet” also integrates bongoes (and it sounds similar to those from Turrican II). A rather short piece in comparison to the other tracks, and honestly not as good as many of the other tracks (“End Credits” is amazing), it really achieves full realization through the album. More of the Amiga soundtrack is available from the Apidya fanpage, though you’ll likely have problems getting the original TFMX files (a codec created by Mr. Huelsbeck) to run. Apidya also saw an arrange of the “Apidya Suite” in Symphonic Shades. It is an absolutely wonderful, dramatic arrangement by Takenobu Mitsuyoshi (Virtua Fighter 2, Bayonetta). The piece is incredibly dramatic, but you have to wonder if this isn’t simply being facetious once you finally realize that what is going on here is not an alien invasion but an army of bees attacking a hut in the woods (and the game’s title screen stating Apidya II seems to indicate this humor). In fact, the entire game has a sense of humor through the ridiculousness of the situation, which makes Mr. Huelsbeck’s soundtrack all the more brilliant – there is nothing serious about blasting away at a mole miniboss peeking out of a hill, fighting a giant fish instead of a giant battleship, or a mutant doll in the sewers. Jim Power was one of those series that made you scratch your head (read more about it on HG101 along with an interview with the composer!). Starring a Buck Rogers-esque throwaway action hero, the series featured repellent art design with 12 layers of migraine-inducing parallax scrolling, clunky controls, and an insane difficulty, there wasn’t a whole lot of redeeming qualities to the title. So what’s this game got going for it? Chris Huelsbeck, that’s what! Jim Power in Mutant Planet features some of Mr. Huelsbeck’s best work. 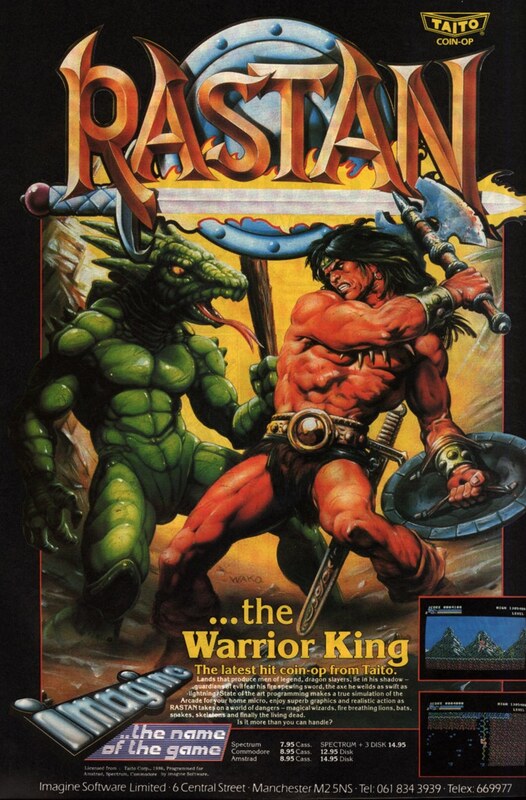 Originally composed for the Amiga, the game was later released for the PCE CD and arranged again for the SNES. Mr. Huelsbeck notes influences of Japanese game music in his work (Jim Power has some similarities with Ys), resulting in a unique blend of East and West that only a few composers such as Yasunori Mitsuda are able to achieve. The game’s publisher Loricel also asked Mr. Huelsbeck to compose a score in the same style as Turrican II, so comparisons also abound. The “Title Theme” is one of the most memorable pieces from the series and the character’s trademark and is another exception that proves the rule that you can have an awful game that’s memorable due to an amazing soundtrack. Mutant Planet‘s “Title Theme” uses the same compositional pattern as Mr. Huelsbeck’s other Amiga titles: it is built in pieces that are then arranged and variated across the song, with a healthy dosage of original material. The track opens with a trademark drumset while melody is played on guitar as well as a funky swashing synth combo at 2:20 that sounds like it’s taken straight out of the Apidya arrange soundtrack. Mr. Huelsbeck also gets a lot of mileage out of the guitar, putting soul into the riffs for sliding notes that begin to almost sound like a theremin. Couple this with a memorable melody that uses punctuated notes over a steady beat, and you’ve got yourself a classic! Later, Mutant Planet was ported to the PCE CD, and served as Mr. Huelsbeck’s first foray into the use of redbook audio for a game soundtrack. The soundtrack was produced in his recording studio using the exact same synths that would be found in the early 90s, up until Sound Factory (1995, which contains two Jim Power remixes) and had already been used in his first three albums (most notably Apidya). 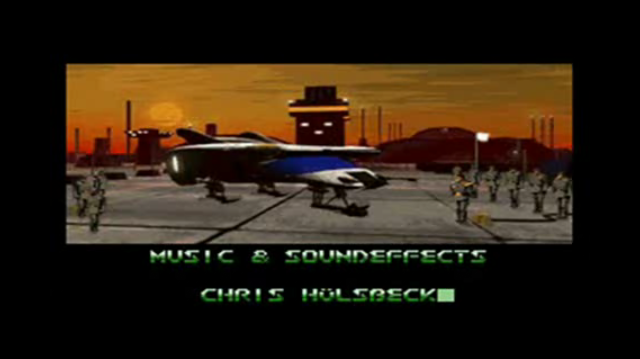 As a result, Mutant Planet for the PCE CD is in many ways an actualization of the audio quality Mr. Huelsbeck had been applying to his previous works. This version also demonstrates his trademark combination of bongoes and drums (1:20). The ending too feels a little like Terminator. The SNES version (Jim Power the Lost Dimension in 3D – which really did use stereoscopic glasses!) is more along the lines of Mr. Huelsbeck’s Amiga days, due in large part to the similarities of the SPC7000. The drumkit has a lot of depth while the meaty guitar riffs sound almost straight out of Turrican. Actually, there isn’t a whole lot on the SNES that sounds like this, testament to Mr. Huelsbeck’s programming skills to go with composition. Honestly, while the PCE and Amiga versions are good, I think the SNES soundtrack is better due to its weight and new material, making it my pick of the best in-game rendition of this song. The best arrange was Yuzo Koshiro’s (ActRaiser) version found on Symphonic Shades performed by the WDR Radio Orchestra of Cologne. Koshiro’s arrange is one of the best from the concert and features the bold strides on strings and brass that we’d expect to find from Buck Rogers. So far there is no Jim Power album from Mr. Huelsbeck’s studio, but word has it that he is working on one… (then again, I’ve been waiting for it since he first mentioned the project about ten years ago!). Chris Huelsbeck is known for a bit more than just Turrican, though arguably, many of his games are fairly obscure. Take Tunnel B1 (1997), for example. A combat flight game reminiscent of Descent, the game sends you deep into an underground base to destroy a superweapon before it blows up the earth. The album is characterized by the plucking of strings coupled with martial drums that send you through the caves at high speed. Brass is used for emphasis but also melody, as in the “Intro” theme. This establishes the main theme for the game, long, rumbling brass notes evoking vast underground chambers and enormous tunnels that disappear into the gloom. There is both fortitude and an overwhelming sense of looming disaster – you’ve got to get this job done, or nobody else will! The fate of the world is in your hands, so pilot that ship and save it! Tunnel B1 saw an amazing orchestral arrangement in Symphonic Shades (Mr. Huelsbeck’s best album?). The piece actually opened with a solo by bongo master Tony Barak that transitions smoothly into the track’s opening. The bongo prelude actually reminds me of the spartan, focused action of those early Amiga games and I feel this captures the spirit of the times. A medley of several pieces, the Tunnel B1 arrange hinges primarily around the “Intro” (main theme) and “Oceanos“, the second main level theme. This demonstrates some of the diversity of themes – though usually attaining a martial quality throughout. Due to its quick pace and loyalty to the source material (as well as bongoes! ), the Tunnel B1 medley easily ends up as one of the favorites from Symphonic Shades. Tunnel B1, as with most of Mr. Huelsbeck’s other soundtracks, is available through iTunes. The album contains several arrangements by the European demo scene, and as with most of these remix tracks, the majority are downright disappointing (despite having listened to the album dozens of times, I don’t think I listened to some of these even once in their entirety). The exception is Chip Holland’s arrange of the “Intro”, which takes the voice narration from the prologue cutscene and mixes it in with intense drums and brass – reminds me of Blade Runner actually. Of course, another option is if you have a copy of the game sitting around on your dusty shelf, Tunnel B1 actually used Redbook audio, so you can just pop it into your CD player.